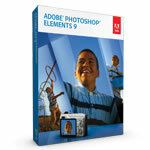 Learn how to easily commit text in Adobe Photoshop Elements and Adobe Photoshop. In this video you’ll learn to do the following in Photoshop Elements 5.0: Add and modify text on your digital scrapbooking layout. Note: You can apply most of this information to former versions of PSE and Photoshop!